Will Megan Fox and Hubby stay together now baby number 3 is here? 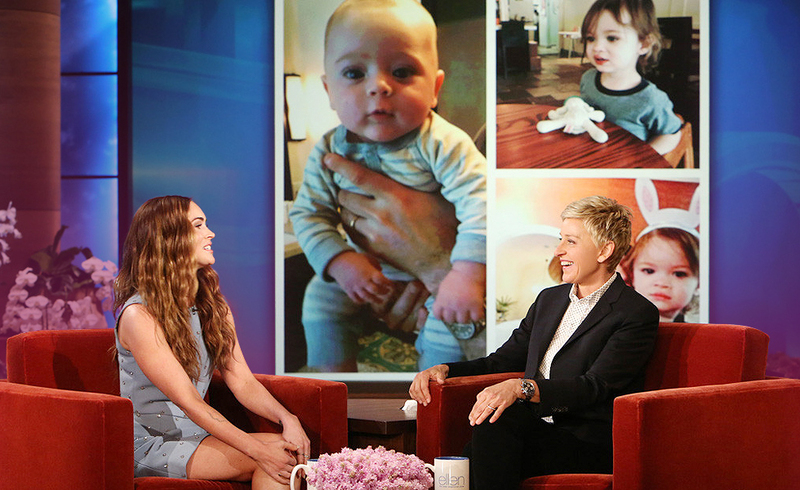 This week Megan Fox showed off a picture of her new baby. The Picture was shared on Instagram and showed her and little “Journey River” lying down looking into the camera. The picture had no caption, but it spoke volumes. Mother and baby both looked amazing. Journey River is the third child in Megan’s marriage to Brian Austin. They already have 2 sons Noah 4 and Bodhi 2. Well that’s a lot of work Megan, but I’m sure it balances out in love and fun also. As you said you didn’t expect to have three children so close together, but let’s look on the positive side. They all have playmates close in age. They all grow up together and your home and your life will never be in want for endless entertainment. One day there will be three young adults who will bring you just as much pride and fun as the children did. It’s important not to rush them into growing up, because one day all the fun of childhood will be just a memory. Enjoy every step. Now I know through the media that there have been marital problems and I’m sure you will both do what is right for you in the long run, but let’s throw some cards out around you and see what the world is offering. This has two very lucky things. One it is the magic number 7 and the other it is the card of Love. With this card, it’s saying if there is one thing your life will never be without it will be love. As with all mothers, your children will be your life, but that doesn’t mean that life must stop here. You lead by example and a strong determined Mother raises strongly determined children. This card speaks of the work involved in raising three children. Yes, you can hire help but it’s not the same as the children’s parents. You can patch up the Marriage for the sake of the children, but I feel you and Brian Austin already have a strong connection. Yes, a lot of miss-understandings, but a strong connection none the less. Apart from the children who without question you both of you love. You need to make time for the couple who created this wonderful little trio of people also. This card is talking about keeping stability while adding something new into an old process. In other words, your work and your parenthood and keeping both afloat. It is possible if and when you choose to do it, that you will return to work. Motherhood does not stop your life, it enriches it. The cards more or less cover the period of new beginnings, mixed with choices about the future. Your Marriage started out on the right road and there are three new lives in the world because of it. Something went wrong somewhere, and that’s the area you need to focus on. This part isn’t about the children. It’s about the two adults. It is save-able, but it will take work. The children will act as a nice distraction while the adults are finding the fun part of each other once again. Whatever you choose to do, we wish you all every happiness. Previous ArticleWeekly Celebrity Horoscope – Caitlyn JennerNext ArticleWhy are friends worried about Jimmy Fallon?